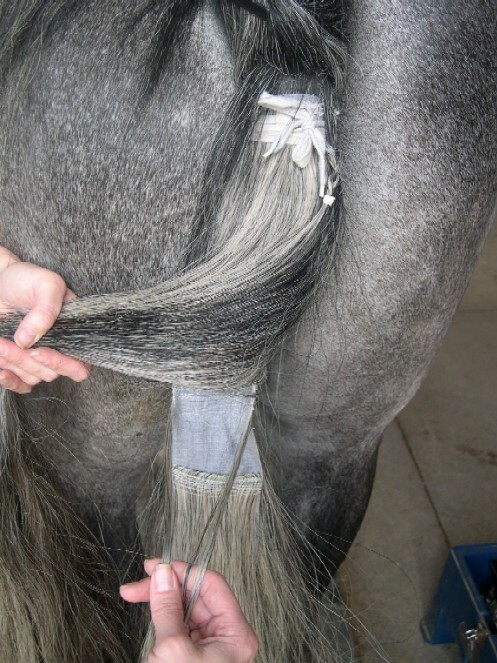 Find the desired location for the tail extension, This is approximately 1/4 to 1/3 of the way down the but will vary based upon length of your horse’s. Remember you need to have enough upper feathers to cover the top portion of your extension. 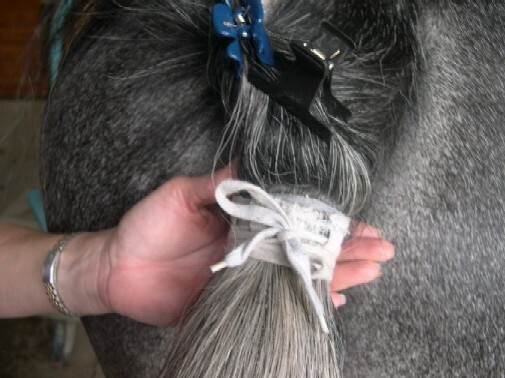 On one edge, pick up a small lock of your horse’s hair from above the top of the extension. Then pick up a lock of hair from your extension. Now braid the two together, securing the braid with a rubber band. Repeat this on the other side. Now, move down the tail again. You should be close to the end of the tail bone. We are going to do one last braid. 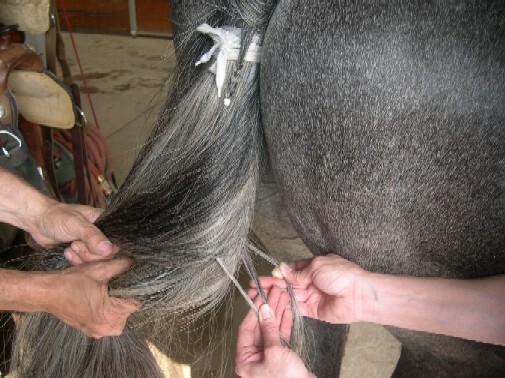 This time we are going to pick up a lock of hair from each edge of the extension and a lock of hair from THE BACK of your horse’s tail and braid together (see photo). 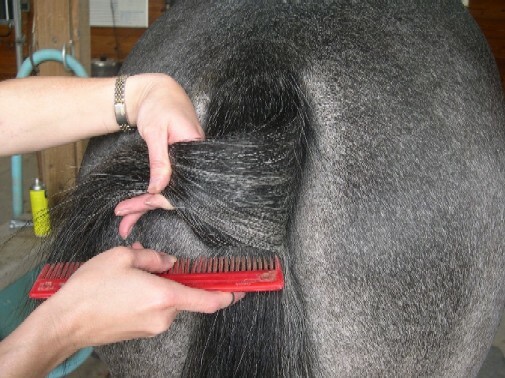 Doing this pulls the sides of the extension all the way around to the back of the tail forming a tube around the lower portion of your horses tail. Also make sure the lace does NOT run through the braided section. If the lace is mixed in with the braids it would be considered supporting and you could be disqualified if there is a Hair To Hair Rule. 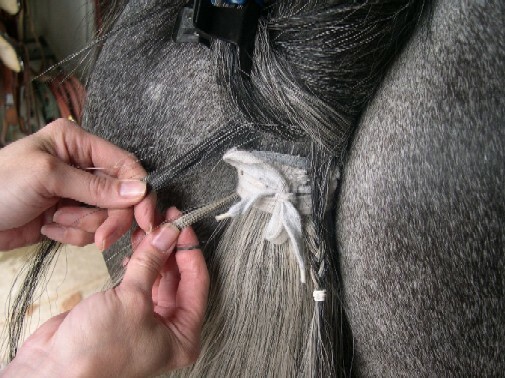 The FIRST TIME, you attach the extension will need to trim the bottom to create a custom fit for your horse. The extension should fall to about the fetlock area and should NOT drag the ground when the horse backs. If it does, move the extension higher up the or trim it a little shorter so that the horse can back without stepping on the extension.